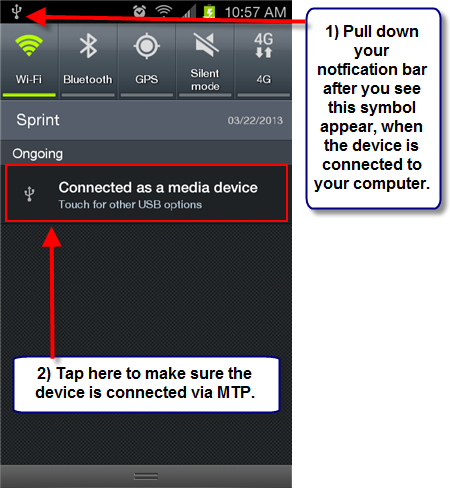 To setup your device in Media Device (MTP)/PC Mode, follow the steps below after connecting the device to the computer. *Different versions and models of Android phones will give different instructions. 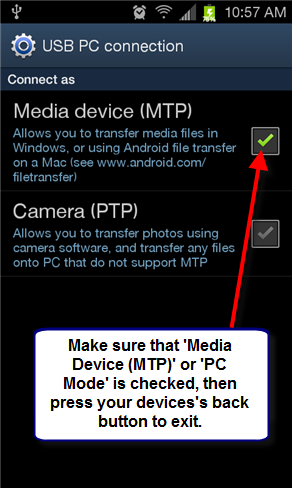 These will work as a guideline for most devices, but, if in doubt, please check your phone’s documentation. 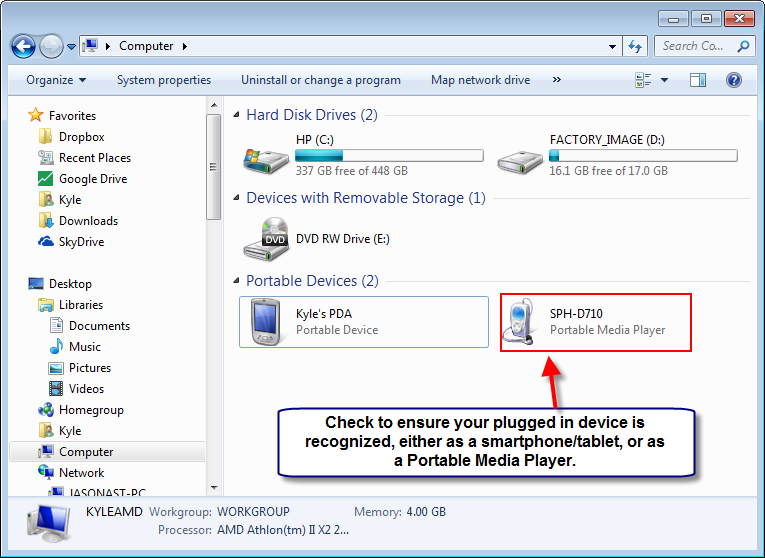 After your computer sees the device, you can open PC Downloader by double clicking the red book icon on your desktop. 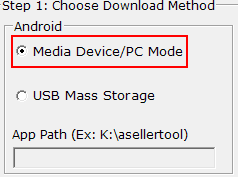 Once the PC Downloader is open, you will want to select ‘Media Device/PC Mode’ from the Android box. Then press ‘Start’ below step 2 to start the download. When the download completes, you’ll receive a message indicating that the download has completed successfully. Once you have the data fully downloaded, make sure to test it by pressing the ‘Menu’ button on your device, and then the ‘Data Test’ option. If the device displays data for a test barcode at that time, the database has been downloaded successfully, and you may start using FBAScan with an updated database. *It is important to always use ‘Data Test’ to verify the database has been downloaded correctly. *If you receive an error, the database may not have been downloaded correctly, and should be downloaded once more. Contact support at http://www.asellertool.com/support/Contact.htm if you have any issues.